The Writers' Lens: Can You Pitch In 140 Characters? Have you ever heard of Pitch Madness? What is the madness you ask? Pitch Madness is a sort-a-new phenonenom on Twitter. Brenda Drake @brendadrake organizes the madness a couple of times a year now. You can find out more here – http://www.brenda-drake.com/pitmad/ – or check out #PitMad. Pitch Madness is chance to pitch your book to everyone at the same time. Agents, editors, and other writers scan through these pitches throughout the day and if an agent favorite’s your pitch then you submit! You get a feel for what everyone is writing. I love to troll through and spot new trends in what people are writing. Does that mean they will turn into the trends of publishing? No, but it is another window into this crazy industry. 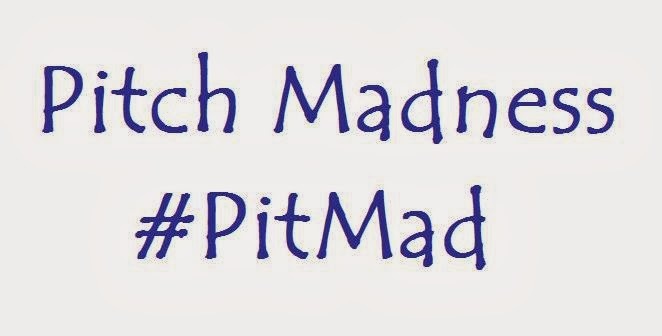 Do not try to do anything else on #PitMad days, you will undoubtedly sit in front of your pc or phone staring at Twitter, posting to twitter, retweeting other awesome ideas, or responding to the other writers and readers who love your idea. At the end of the day a sinking feeling may overtake you from the rejection of not being favorited by an agent, and worse, you’ll see your friends who did get a nod to submit. However this is not a rejection of your work, only your pitch, or maybe the agent who reps your genre didn’t see your tweet. Don’t get discourage, go and traditionally query your top agents. One of the hardest things a writer will do is condense a book into 140 characters. A synopsis is hard enough, trying to get 200 pages down to two, but try getting 200 pages into 140 characters.